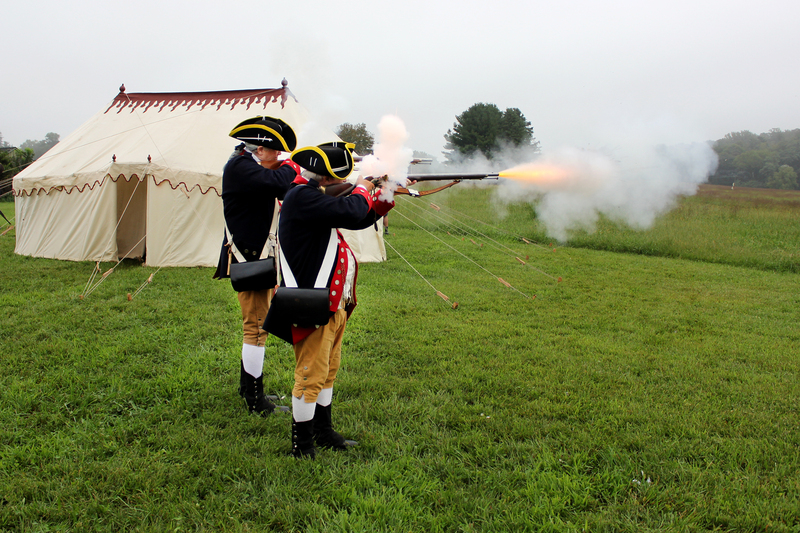 This past September the accredited Brandywine Conservancy commemorated the 241st anniversary of the American Revolutionary War Battle of Brandywine through its acquisition of a key piece of land within the heart of the historic battlefield in Chadds Ford, Pennsylvania. The ceremony celebrated the purchase of a 13-acre parcel located on Birmingham Hill — the epicenter of the battlefield — which merges with an adjacent 100 acres previously acquired by the Conservancy in 2007. This acquisition completes the organization's remarkable 25-year endeavor to preserve over 500 contiguous acres where the fiercest fighting transpired during the Battle of Brandywine and to prevent development in the heart of one of the nation's most important historic battlefields. "We look forward to working with all levels of government, with the community, our neighbors and area experts to create a plan that will pay homage to the significant events that took place here and engage future generations in its preservation," said Ellen Ferretti, director of the Brandywine Conservancy. Beginning in the mid-1990s, the Brandywine Conservancy and a consortium of local preservation groups, citizens, and federal, state, county and local government officials formed the Brandywine Battlefield Task Force. In addition to interpretation and education about the battle, the task force's mission was to implement public and private partnerships to preserve lands within the Brandywine Battlefield National Historic Landmark. Chester County, the Commonwealth of Pennsylvania and the National Park Service were key partners in the project, along with the accredited Natural Lands. Eventually the Conservancy hopes to open the property for public visitation — respectful of the site's historic value — with opportunities for public education and interpretation programs. The site will be the Conservancy's first publicly accessible preserve. "This beautiful land is embedded in the fabric of our nation's history, which makes its preservation for future generations to enjoy that much more rewarding," notes Ferretti. Nicole Kindbeiter is communications specialist at the Brandywine Conservancy.